Cromax has introduced a series of training videos entitled ‘Let’s get to work’, with the videos focusing on everyday repair methods. Carried out by one of Axalta’s technical experts, the aim of the tutorials is to show the correct use of Cromax paint products and application processes. Axalta says the videos act as a valuable tool for all Cromax refinishers, as well as a refresher for refinishers who have attended face-to-face training courses at one of the Axalta training centres. The tutorials are available on the Cromax website and on the Cromax YouTube channel free of charge. Axalta says the videos concentrate on the challenges refinishers face every day. 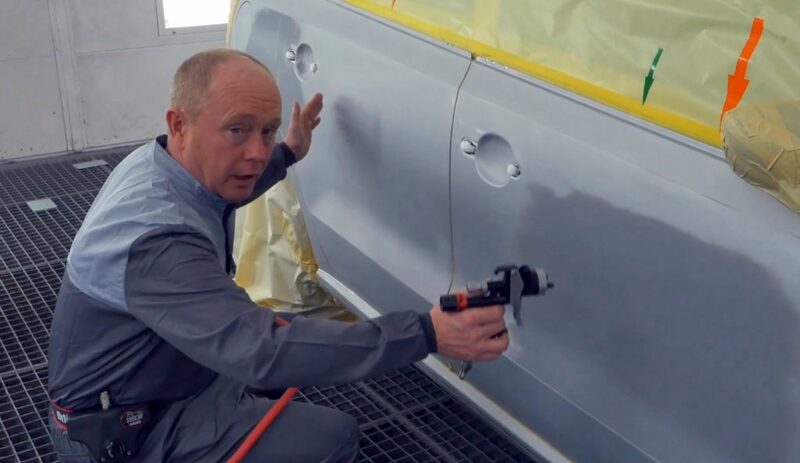 The first tutorial in the series gives Cromax Pro Basecoat application guidelines for a side panel repair of a Volkswagen Polo in Reflex Silver. The technical expert begins by highlighting key aspects that need to be considered at the start of the repair – such as climate and gun settings – before the product is even touched. Several things are then demonstrated – a one and a half coat application process, a good effect coat with close and controlled overlap zones, and good hiding and full mottling control. The second video deals with the repair of a bonnet in Reflex Silver and delves into clouding and mottling issues, while the third video highlights blending by showing best-practice processes. The fourth video focuses on tricky tri-stage repairs including blending, and the fifth video looks at the Cromax Ultra Performance Energy System by showcasing two different types of repairs on one vehicle. Finally, the sixth video highlights an easier and more reliable way to find the correct colour formula, using simple and effective digital colour retrieval processes through the Genius iQ spectrophotometer and Standowin iQ software. Axalta says the ‘Let’s Get to Work’ videos complement the face-to-face training sessions refinishers can attend at Cromax Training Centres around Australia, and support the content of the Technical Data Sheets.